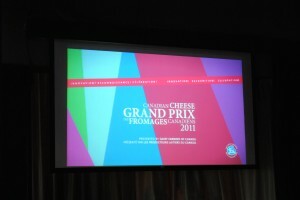 Last night, I was invited to attend the Canadian Cheese Grand Prix at the Palais Royal in Toronto. For those unfamiliar with this event, basically, it’s a Canadian competition of cheese makers, to determine the best in Canada. 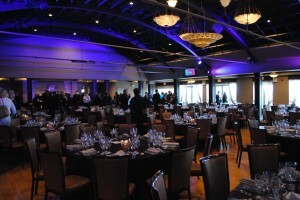 The venue was spectacular, I met a lot of new people, visited with some foodie friends and tasted some truly sensational cheeses. All of the cheeses at the event last night were Canadian, and I felt a great sense of pride to be part of something so special. The Cheese Grand Prix, which was started in 1998 by the Dairy Farmers of Canada (DFC) celebrates the finest cheeses made in our beautiful country. Most Canadian cheeses are produced in the provinces of Quebec and Ontario (seems I’m living in the perfect spot to be a cheese lover!) 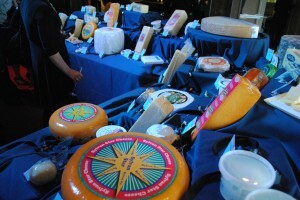 The goal of the event is to create a better awareness of the cheese industry as well as promote the excellence of the cheeses produced right here in Canada. Additionally, the Grand Prix winner receives a great deal of recognition for their efforts and the winning cheese is showcased Nationally for it’s quality. Last night, we sampled cheeses in a number of different categories ranging from soft and firm cheeses, washed-rind, Swiss-type and Blue cheeses as well as many, many more. The meal itself was almost entirely cheese, and I was in heaven! 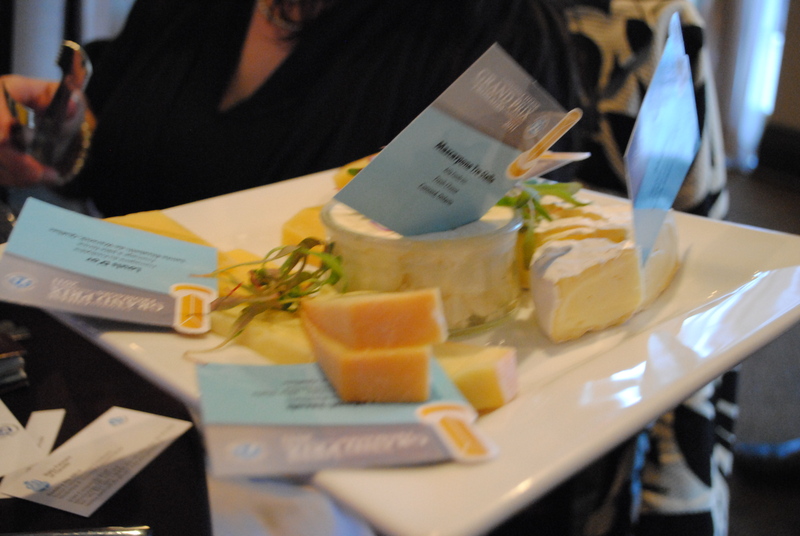 Although I’ve had a hard time deciding, I think my favourite cheese of the evening was the Island Brie from BC – that’s two favourites I now have from the west coast of Canada! My other being the Tiger Blue 🙂 but to be completely honest, there wasn’t a cheese among them that I didn’t enjoy. I was also very impressed with the delicious cheddars. I’m not sure if I can ever eat regular grocery-store cheddar again after the beautiful ones we were served last evening! Each category has entries which are judged by a panel of experts in the culinary field. The cheeses are judged based on appearance, colour, body, texture, compactness, flavour and salt content. It’s a very complicated procedure!